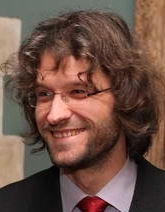 Sander Hille is assistant professor in mathematics. In research and education he has particular interest in the development and application of mathematical techniques to problems in the Life Sciences, Biology in particular. Concerning his interdisciplinary research in biomathematics, he focusses on population dynamics and the modeling and analysis of signaling networks and transport processes. In fundamental mathematics, his interests are in the topic of deterministic dynamical systems in and stochastic perturbations thereof by means of random interventions at discrete times. This is combined in the topic of dynamical systems in (metric) spaces of measures. Among others, he collaborates in the Plant BioDynamics Laboratory (PBDL) of the Institute of Biology Leiden (IBL) in research on auxin transport in Arabodopsis thaliana. He has been involved in the modeling and analysis of part of the sporulation signaling network in Bacillus subtilis in the BetNet project within the Computational Life Science programme of the Netherlands Organisation for Scientific Research (NWO), in collaboration with the microbiology group of Oscar Kuipers at the Rijksuniversiteit Groningen.